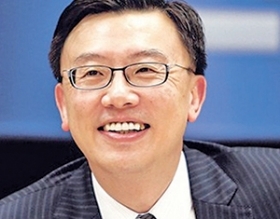 Matt Tsien, GM China president: "Pricing adjustment is part of what we need to do every day." BEIJING (Reuters) -- International automakers are slashing prices for vehicles they sell in China in response to a slowdown in demand that threatens the industry's rich profit margins. General Motors and Ford Motor Co. cut prices on Chinese models late last week, following moves by Volkswagen AG last month to increase discounts on several popular vehicles. "Pricing adjustment is part of what we need to do every day," GM China chief Matt Tsien told Reuters. "The market is softer than it has been in the past." Analysts said unusually big price cuts -- by as much as a fifth -- by GM and its rivals point to longer term challenges as Chinese consumers increasingly resist paying double or triple the prices charged for similar or identical cars in the United States and Europe. At the same time, automakers are adding more production capacity to the world's largest auto market by sales volume, despite a sharp slowdown in sales growth. GM's price cuts came in the wake of a year-on-year contraction in its China sales in April. Sales for GM and its Chinese joint ventures slipped by 0.4 percent last month, as demand in its largest brands all fell. Sales of its Wuling, Buick and Chevrolet brands declined 5.1 percent, 8.5 percent and 5.6 percent, respectively. GM last week cut prices on 40 different models. In one case, GM and joint venture partner SAIC Motor Corp. reduced the price of certain Chevy Captiva SUVs by 53,900 yuan ($8,687.80), or 20 percent, to 209,900 yuan. GM said it cut the price of the Captiva -- an aging model due to be refreshed -- because it was much more expensive than rivals like the Nissan. Chinese shoppers "know more and more that they are not getting a fair price on a given car, compared to their counterparts in the U.S. and elsewhere,” said Yale Zhang, head of Shanghai-based consulting firm Automotive Foresight. Ford on Friday cut the price of the Ford Explorer SUV by 40,000 yuan, or more than 8 percent. In April, VW and SAIC, also joint venture partners, and China FAW Group Corp., began offering discounts, interest-free loans and other deal sweeteners to boost sales of Volkswagen brand models. Tsien said GM is aiming to maintain its operating profit margins at 9 percent to 10 percent, even as the Chinese market matures, in part by tilting sales even more toward sport utility vehicles and luxury cars. "To expect that every quarter you are going to have double-digit growth ... I don't think that is where the overall industry is headed," he said. The sales slowdown could exacerbate a growing imbalance between capacity and demand, said Chao, the IHS analyst.